Madi Preda was born in Romania, grew up there, under Dracula myth and communist regime. For many years, she was working as an accountant in Galati and then moved to Greece, in 2007. After seven years, she is back in Romania, and now lives and works in Brasov. What motivated you to become an author? : I loved books since my childhood and later on I started doing promotion for books and PR for writers, the first one of them happened to be my husband.So, I can say that he motivated me to become an author and I am grateful for this. Do you remember the first story you ever wrote? : The first one it was a poem from my school’s magazine, a poem about a movie with John Wayne in it and them some more poems dedicated to my children,my husband,my parents and my grandparents. What’s the story behind your latest book? : My latest book is Little Martians Learn to Count, a picture book for kids to learn the numbers..Little Martians Learn to Count by Madi Preda encompass the skills required for preschool and kindergarten.The book is focused at achieving the children development through eye-catching images.This book was designed to help parents and teachers plan the lessons in a funny way so children will be more inclined to do extra-curricular work in class or at home.In addition, worksheets can be created in concordance with what children should learn in preschool and kindergarten, in order to attract and make it easy for kids to learn and achieve certain objectives. When did you first start writing? : I started my first book, How To Promote and Market Your Book in 2014, as a result of my book marketer activity.explores how Marketing and PR can differentiate an author from others in attracting and retaining more readers. Step by step and easy to understand online marketing practice, introduction and resources for blogging and reviews sites, social networks, author’s brand development and web’s marketing opportunities. How to Promote and Market Your Book by Madi Preda is relevant to authors and marketers, very well thought guide that reflects changes and trends in online marketing practice. Where did you grow up, and how did this influence your writing? : As I said above, I grew up in Romania.This didn’t influence my writing at all because I write in English.Maybe my place of birth feed up my thirstiness for reading; in my childhood under the communist regime weren’t many attractions or things to do. What time of day do you usually do your writing? : Late in the night when I finished to complete all the other tasks.Looking at the stars over the Carpathians Mountains I slow down a bit and then I can concentrate on writing. What are you working on next? : I have an old project in progress, a bitter sweet romance – It Takes Two to Tango and hopefully it will be finished until Christmas or early in the spring.Also, I intend to publish another book, a collection of short inspirational stories for children. When you’re not writing, how do you spend your time? : I love visiting new places, walking through the forest and of course, reading. What is your writing process? : I don’t have one. What is your e-reading device of choice? : Definitely Kindle although I haven’t one now. How do you approach cover design? : I used to design myself the covers. When beginning a new book, do you make a detailed outline, or just let it flow? : Just let it flow, let it boil a bit and continue after some time. What is the greatest joy of writing for you? : Is just the satisfaction of doing it and I hope to touch someone soul or someone will find my books interesting. Is there anything else you would like to tell your fans? : If it happens to like my books please say something, if not say something too.Email me at authorspromotion@yahoo.com or write a review. Many thanks to all of you. I am pleased to have John W Howell here today sharing a bit about himself and his debut novel My GRL. Please introduce yourself John and tell us something unique about you as a person first and then as a writer. Thank you Madi. First of all, I am very grateful for your help. Secondly I am now a writer, but my uniqueness as a person lies in the fact I have had three careers leading up to this point. I was a business person retired at age fifty, a consultant hired by one of my clients, contracts professional for fifteen years, and finally an author. I currently live on a barrier island in the Gulf of Mexico off the Texas coast. My children are grown and my wife and I tend to our rescue dogs and cats. As a writer, my uniqueness lies in believing my reader should never be in the dark in terms of the story. I try to be transparent in involving the reader in the suspense yet having enough twists to remain interesting. What events led to you becoming a writer? My youngest child graduated from college in 2012 which gave me the opportunity to retire from organized commerce and devote my time to writing full time. I wrote a book before My GRL while I was working. The book is in manuscript form and is on a shelf in the laundry room. I found for me trying to work and write lead to some pretty bad writing. Lucky for me the work was still good though. What sparked the idea of My GRL? In a few words what is the book about? I was visiting the Aircraft Carrier Lexington which is moored in Corpus Christi Texas and wondered what would happen if some terrorists wanted to make a statement by destroying her. The rest of the book unfolded from trying to figure out a way to do it. The book is about the terrorists loading the protagonist’s boat with explosives and using a guidance system to get it near an American institution and destroying it for the purpose of gaining notoriety for their cause. Unfortunately for John Cannon he bought the boat the terrorists earmarked as the perfect vehicle and now he is the only one who stands in the way of their achievement. Who inspired your main character John Cannon? Tell us a bit more about him please. John J. Cannon is a pure figment of my imagination, but he has agglomeration of traits of a number of ordinary men I have met through the years. He is a lawyer, but quiet and unassuming and goes about his work with the dedication of someone who isn’t interested in money, only doing a good job for his clients. He is slightly obsessive compulsive and tries to control the disorder as much as possible. He is single and has not had much success with long term relationships although he is more than willing to commit to one. Also, since he pretty much works night and day as a litigator, he has a very large bank account which he intends to take advantage of while he pursues his desire to be a charter boat captain during a leave of absence from his law firm. Please tell the readers why the terrorists killed Gerry, the boats broker? The terrorists felt Gerry represented a risk to their mission since she began to become uncooperative. During negotiations she began to have second thoughts and then she reached out to John Cannon and pretty much sealed her fate. Why they kidnapped John afterwards and what is their evil plan? John was taken because the billionaire funding the operation named Jacobs, had lost an acrimonious lawsuit with John representing the other side. In Jacobs mind John had humiliated him and he now wants revenge. The terrorists intend to have John on the boat when it reaches its target and explodes. In this way, John will go down in history as a perpetrator of evil much like Lee Harvey Oswald or John Wilkes Booth. The evil plan is to destroy an American treasure and to create awareness for a cause which has as its base misguided belief sins of the past need to be avenged. In your writing process of My GRL did you let the book stew for a while? I really did not. I started the book and worked on it each day until the draft was finished four months later. Some of the elements I had to work out while riding my bike on the beach, but managed to get it done in that time frame. What are your plans for the future, will you dabble in other writing styles? Do you have any work in progress at the moment? I have finished the draft sequel of My GRL which has an operating title of His Revenge. It tells the story of the mastermind Jacobs and his efforts to continue to achieve recognition for his cause. I also relax and write short stories which tend to explore the human condition. I have a number that are all dialog since I find it a challenge to have a complete story with nothing but discussion. I also am trying to write poetry, but it is slow going. I intend to start the final John Cannon trilogy in April. All I have right now is an outline and the title of; Our Justice. When you don’t write how do you like to relax? When I am not writing I go for long bike rides on the beach. This is a way to clear the head and I have to admit, work on stories. Also I enjoy walking my dogs, as well as, reading when not writing. I do write seven days a week so leisure time is really not plentiful. My final leisure activity is restoring my 1978 Toyota Land Cruiser. I do all the work myself and since I have little mechanical ability it is slow work. What can you tell other writers to encourage them in pursuing their writing goals? The most important thing about pursuing writing goals is to write. Yes, some planning should be done, but I find most writers who get writer’s block tend to overthink their writing. I don’t know of any writer who has written something they are totally pleased with the first time. It takes a lot of practice to turn out a finished product. My GRL has over 10,000 words that I cut before publication. There were scenes that were overwritten and did not move the story ahead. Those words are not lost, since they were part of the finished product through the learning they gave me. If I had stopped while writing to make sure everything was perfect I never would have finished. The second most important thing is to be brave enough to be criticized for what is written. Trying to avoid criticism is another killer of writing productivity. If you could use only one word to describe yourself what would it be? Tenacious. Once I start something I keep going until it is finished. Where readers can find more about you and buy your book? Thank you for being with us today John Howell and I wish you many, many readers who enjoy My GRL and to look forward for your next book. A voice of an artist and a new author who deserves discovery. Hi Andrew and thank you for agreeing to this interview. Please introduce yourself and tell us a bit about your background and your connection with this unspoilt countryside, the beautiful towns of East Yorkshire and the vibrant heritage of Hull, City of Culture. Hi. Well, I am a man who recently seems to have found his voice! I write, and I paint, and I also photograph, and I find this a great way to express myself and to express how I feel about my home county, the East Riding of Yorkshire. My connection with East Yorkshire? Well I was born here. In Beverley. But the grit in the oyster is that I was not able to grow up here, and my childhood rapidly became a kind of exile, and this colours all my creativity. My earliest memories are of Yorkshire, and they are sweet memories, but later I remember the pain of being taken abroad and missing my roots. I remember having my accent “corrected” and people not understanding my longing for those lost places. Initially I just wanted to tell my story. Later I branched out into short stories. When I write I want to laugh, or to cry. When writing what themes do you feel passionate about? I love writing about Beverley and Hull. It makes those places and memories real to me. I love creating characters, usually embodying those traits I cannot stand! I find it funny and I love sending up such people. My big themes are not belonging, snobbery, exile, and pathos. What is Spicy Green Ginger about? It is hard to say as each story is so very different. The only thing all stories have in common is their location. The location is primary in the book. And in almost each story I pour in my feelings of deracination, the wish to return home, whatever that might mean for the character in question. Give us an insight into your characters. I suppose they are all outsiders, all a bit misunderstood. Some are horrific snobs, some tragic, some a bit more loveable. They invariably get into a jam of some sort or other. As a new author, how many of your preconceived notions about writing come true? How many have fizzled into thin air? I think selling books is much harder than I thought. It is more about marketing and foot work than I imagined. But even so I am going to keep writing for as long as I have something to say. You are lost at sea and find an island refuge. Miraculously your three favorite books are there. What are they and why those? I love, love, love Armistead Maupin’s Tales of the City. I read them first as a young man and fell in love with them, with their sense of liberation and life and love, and their San Franciscan location. Similar, is the Edinburgh writer Alex McCall Smith, whose Sunday Philosophy Club is centred around a very likeable woman, a free spirit, a thinker, and a daughter of Edinburgh, the city my parents originally came from. I love the Miss Read series of books, each one anchored in a fictitious Cotswold village. I love the gentle, Englishness of the series. When I lived in Israel I missed this so much I could not bear to read them. What other types of artistic talents do you have? I am a keen photographer. I am almost an excellent teacher, an accomplished linguist, and a good cook. Tell us a bit about your paintings and your future exhibitions. (say something about the ones in Hull, the actual one in Loughton. I had an exhibition at Loughton Arts Centre in Essex in February which has just finished, and this was my second exhibition there. Then in the spring I am having a further two exhibitions, both in Hull, one at the Centre for Community Arts, and one at the PAVE bar. Both will feature works that depict the local area. My paintings are unique. I seldom paint people, but I love painting the buildings that remind me of home, and I do so using much more vivid colours than the ones I can actually see, brightening the skies to a deep blue and using layer upon layer of texture. Many of my art works use collage, and all the works have some symbolism, such as loneliness, optimism, or abandonment. And now, going back to writing, do you have any work in progress or future projects? Yes, I have now written enough short stories to compile the second volume of Spicy Green Ginger with a working title of Red Hot Green Ginger. I think it is important to have fun, and to, and I don’t want to sound mad here, but listen to the voices in your head, to the dialogue of the characters. I like to read each sentence back to myself slowly and then return to it the following day to see if has matured or does not sit well. When it comes to painting are you a perfectionist? Yes, I won’t stop until I am happy with it. I do not aim for complete realism or what have you, but I must be happy with it. If I am happy, it is perfect. Is that how you find easier to express yourself? I mean do you think art, any kind of art is a form of relaxation and express your feelings? I am not sure how many people can relate to this experience, there was no one, no one at all, in whom you could confide. Then there was also the experience of internally censoring everything you said to people, in case they saw too much of the real self. Those habits become second nature, and thus expression is a big issue to me. It is also why I almost never do paid commissions, and also why I choose to publish all my books independently. I have to be free to express myself my way. When I was growing up, exiled from my Yorkshire home, no one understood how I felt about the place, and I was not in touch with it. Now I am no longer shackled by that sense of self-censorship. It is quite exhilarating not to care too much what others think of my fascinations, my quirks and longings. Is my art relaxation? No, not really. It is quite exhausting, but it releases feelings of tension, of grief, of longing, and brings relief from those powerful emotions. I do love painting, and my favourite time is wandering around an art supplies shop, handling the paints and canvases and thinking how to use them. Like a cook in a foreign market. Thank you for being with us today and let us know who are you and what are your talents. I wish you good luck and lots of fans. In our case is exactly what Andrew Reid Wildman does, and he is doing so well. It’s obvious that he has something to say. Today I am pleased to have a special guest on my blog, Peter VanDenBeemt, the author of Memoir of an Unlikely Savior, a saga of an autistic child who tries, and succeeds, to make sense of his relationships later in his adult life. What makes his story different is that unlike other stories about autistic people, Peter doesn’t present autism as a monster to battle but explains the struggle, catches the sensitivity of a soul, and shows us that autistic people can be perfectly capable of communication and of expressing their feelings. More than that, because of their sensitivity they can find ways to develop relationships on a superior level and may help others improve their relationships as well. Hello Peter and welcome! Can you introduce yourself to our readers and tell us when your writing journey started and why? I spent my high school years in Switzerland. My father was sent there by IBM for a four-year stint. An incredible opportunity to travel and to meet people, a very worldly and cosmopolitan experience, but I wasn’t very happy with life. The truth is, at that age I wouldn’t have been very happy anywhere. Probably what I wanted most was to be listened to, so the natural outlet was writing. Dreaming of writing the great American novel coming simply from my sincerity and innate talent, what came out was mostly insipid poetry. Then I became friends with an incredibly artistic Spaniard who taught me the guitar. We’d start an evening with a formal visit to classical guitar then settle into beer and pop music till the early hours of the morning. I started writing songs and performing where I could, but over the years met enough truly talented musicians to realize I didn’t have the chops. In L.A. I dabbled in screenwriting, but that’s a whole different animal as well. But the net result of this and other paths I followed in life was that when I got back to writing prose, I wasn’t so bad at it. Please tell us something about what made you choose Thailand as the country to live in. I worked as a software engineer to make a living but wanted to write. I didn’t want to work till I was 70 and even if I did; I still wouldn’t have been able to afford to retire in L.A. I needed a place with a low cost of living and was ready for another adventure, so I visited a couple Southeast Asian countries. In spite of the on-again off-again political turmoil, Thailand’s Buddhism makes it an inherently tranquil place. Cost of living is low, the food is spectacular, and the women are beautiful. Seemed like a good choice for retirement. Now that I’m here I’m finding what I’d hoped for, an environment very conducive to creative writing. How would you describe Memoir of an Unlikely Savior? Generally speaking, it’s a work of fiction but behind the story is there a real person who inspired you? Above all I mean for Memoir to be a story of hope, that even the most staggering obstacles can be overcome. I also mean for it to be a challenge to complacency, to the protagonist’s, to the reader‘s, and not least to the author’s. As for a real person who inspired me, they say you should write what you know, which is why so many first novels have a layer of autobiography to them. Mine is no exception. It’s not meant to be autobiographical, Frank isn’t me, and none of the other characters are meant to be anyone real, but events in Frank’s life parallel mine and bits and pieces of people and experiences I’ve known crop up in the work. I wouldn’t say, though, that I found inspiration from my life, but rather that I wrote it as a challenge to my perception of my life. What can you tell the readers about Frank? What makes him special, his personality or his deficiencies? To me what makes Frank special is his unceasing determination to overcome the obstacles life has placed in his path. The determination is in his personality, and his deficiencies are some of the obstacle he faces. The obstacles he confronts aren’t all external, but he goes after them all with the same honesty and the same grit. Jason, Frank’s brother, is narcissistic. Can you describe this character and tell us how his being a narcissistic person influenced Frank’s life? Jason views the world entirely in terms of how it serves Jason. Whatever the people or circumstance, if Jason gets then that’s good, if Jason doesn’t get then that’s bad. Jason is an incredibly needy person who grabs to get everything he possibly can from everything and everyone around him. When they were children, Jason had to enter Frank’s autistic reality to get from him. He had to connect with Frank before he could take anything from Frank. But by doing so, he was the only one who did enter Frank’s world, and each time he left Frank’s world, Frank was able to follow him a little further out of the labyrinth. Who is your favorite character from all the women Frank meets along the way? Which was the most successful one? Answering the second part would give away too much of the book’s ending, but to answer the first; my favorite is Karena, with Gloria a close second. They’re both originals in their own right and they both take Frank in unexpected directions to the boundary of his envelope. If your book was turned into a film or a play, who would you like to play Frank and who to play Carol? I lost touch with the ever-evolving stable of movie stars long ago. Rather than casting the movie myself, I’d much prefer to discuss with the director the on-screen presentation of the characters and leave the casting to his/her better judgment. What would you say to an autistic adult about dealing with their problems? What is the key? I’m neither knowledgeable enough nor qualified to give that advice. The only thing I’d say to them is what I’d say to anyone: Don’t ever lose sight of your hopes and dreams, and take pride in whatever you accomplish along the road to achieving them. What is your next project? Can you tell us a few things about it? When do you expect it to be out on the market? With that to work on, believe it or not I hope to finish it by September of 2014. I wish you good luck! Where can readers find more about you and your book? Thank you for taking the time to answer my questions and thank you for giving me the chance to read your so touching book. I am looking forward to the new one! 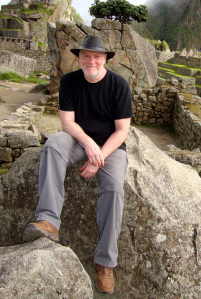 Once again, I am pleased to interview Roy Dimond, the author of The Singing Bowl and The Rubicon Effect. His latest book, Saving Our Pennys is written with his friend Jeff Leitch as a co-author. Roy has worked for over thirty years as a Youth Worker within numerous school districts, helping at risk-families. He has spoken at universities about domestic violence, addiction, bullying and many other sensible subjects. As a result of his varied experiences ha has many stories to share, and so began his writing career. Roy lives with his wife in a small harbor area of GardenBay, on the West Coast of British Columbia. Welcome Roy, I am glad to speak with you again or more accurately, to write about you. Let’s see if can get you into trouble today. How would you describe your personality? First of all Madi, let me say it is wonderful to hear from you again. A lot has happened since the last time we talked. With regard to my personality, I would have to say I am a writer; which to some degree makes me a person who likes to be by himself. I don’t think I am outgoing, but I do enjoy having friends over. I think I can be as friendly as any person, but I have been told that I have a glare that could shatter windows. All in all though, I am happy and I like to laugh…a lot! Tell me what do you think are your best points and assets? What about your bad ones? Wow, that’s a tough one. You are putting me on the psychiatrist’s couch with that one. My best point, I like to believe, is that what you see is what you get. I never, ever, have a hidden agenda and sometimes that gets me into trouble, but I want people to know, for good or bad that they can trust me. My best asset is my wife. That’s all I’ll say about that, but she knows it, to be true. My worst asset would have to that I trust people till they prove me wrong. That one cost me a few times. But I refuse to change. What in your opinion would be the first impression most people get when they meet you? That I am big. Hopefully, that I have a smile on my face, and that I am glad to see them. That’s what I am usually thinking, even if it doesn’t always make it past my glare. Has your life changed in any way since you started writing? If so, how and why? Oh my, yes. First, the amount of time spent at the computer has increased dramatically – writing the next manuscript, answering interviews, doing marketing, yes my life has changed a lot. One real loss is I have no time for reading…a tragic loss for me. Please tell us about your new book, Saving Our Penny’s. What was it your inner muse told you that made you write this book and why did you chose Jeff Leitch as a co-author. Saving Our Pennys was inspired out of friendship and commitment; Friendship to my co-author and buddy Jeff as well as the deep and sincere commitment that we both bring to help others. Saving Our Pennys was written to inspire, teach and energize others, so that they can find their way in life. I think my inner muse came from Jeff banging me on the shoulder every ten minutes saying, “We got to write this book. We got to!” But he was right, and the proof is in our pages. The reason I wrote with him is easy, Jeff is one of the finest and most honest people I know. He’s the most real person I know. To miss out on the experience of writing with him…well lets just say I have many faults…but being stupid isn’t one of them. Explain for our readers this sentence from your book:- ‘Stones are necessary sometimes for balance’. Ah Madi, you picked one of the most important sections of our book. This is an aboriginal concept where words are equated with stones. Words have weight because their effects are real. Say something mean and nasty to someone and it hurts as if you had hit them with a rock. Say something kind and it’s as real as if you had given them a gift as tangible as a stone. Words have weight and one may choose how many to keep and how many to leave at the side of the road. We need some people’s words for balance, but other thoughts only weigh us down. What was the point which impressed you the most about Penny, to make her your main character? She was such a vibrant child, full of life and generosity. Then one incident closed off her life, closed her off from all of us, and we were the less for it. But we all watched her climb back out of her hole, back to the sunlight, and back to sharing herself. Her determination, energy, and effort, was all just so inspiring. In your career as a Youth Worker you have helped many people. Is it possible to help someone else while you helping yourself? I think the question really is…Is it possible to help someone else WITHOUT helping yourself? Who was your mentor and what you can you tell us about him? This is a deeply personal question. Speaking about one’s mentor is so sacred, special. You are talking about a relationship of the deepest kind. All I will say is that he was Scottish, and he was my friend, and oh how we used to laugh together. He was the smartest man I ever met and yet never, ever, made anything more complicated, he simplified everything, every time. Every story has a point. What is it that you want your readers to take away from Saving Our Pennys? Apart from your family, who would you turn to in times of trouble Roy? How would you get back on track? Jeff Leitch. He would be there for me in a heart beat. Everytime. Under all circumstances. I would also count on myself. I have a great confidence in myself and oddly I would also turn to nature. Sunsets, flowers, the moment…these things have healing qualities. What is the most important goal in your life and how do you plan to achieve it? I have already accomplished the most and only important goal in life. The secret now is to hold on to it…Some call it happiness…but I think is a by-product of leading a balanced life that is ruled by compassion. How much time do you think we need for forgiveness, for understanding and wholeness? For forgiveness, it takes only a second, to accept that all people are doing the best they can, all the time, and once they learn to do better they do, immediately. Knowing that makes it easier to forgive and it will stay with you for a lifetime. Understanding and wholeness however, take a lifetime. These are not things to gather and hold onto, they are ethereal in nature and can be lost in a hurtful word or a mean deed. To have any of those qualities you so wisely mentioned, even for a brief moment, is something that enriches an entire life. So to use a lifetime to experience any one of these, is worth all the toil and trouble. Thank you for being with us again and I like to think that our readers will enjoy Saving Our Pennys just as much as I did. Roy Dimond, author of Saving Our Pennys talking about how to find your path. Let’s find the answer within ourselves, let’s live and surround ourselves with people who understand the power of acceptance, joy and love. Saving Our Pennys is a spiritual exercise, which enlightens and enriches every day life. One of the many messages from this book is ‘’keep it simple’’, so let’s be grateful for what we have and look around us: we all know somebody like her…waiting. 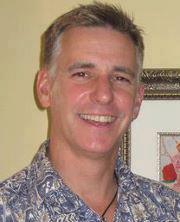 Introducing Jeff Leitch, co-author of Saving Our Pennys. Jeff Leitch is the co-author of the book, Saving our Pennys, which he co-wrote with his great friend Roy Dimond. Saving our Pennys, will be released shortly by TaoFish Books. Jeff lives with his family in Maple Ridge, a proud community at the base of the majestic GoldenEarsMountain in British Columbia, Canada. Honoured to be a teacher in his native Coquitlam, British Columbia, Jeff’s passions include his wife Linda, and their three kids, Amanda, Matthew and Adam, “all his families” and friends, and the great stories they share. You can find him at any sporting venue, or live theatre, with coffee in hand, cheering and coaching those who display courage and dare to chase greatness. Along with writing occasional articles for local papers, Jeff’s current restlessness has him dreaming of many more novels, while writing at least one musical hit as he goes beyond the three chords he knows on his acoustic guitar. Hello Jeff and thank you to take time to answer a few questions. Who are you and what do you believe in? It’s my pleasure. Thank you for taking the time to interview me. Those are two great questions. Who am I? Well, that’s a question that has been one of great flux in my life. I’d like to think I am a believer in hope, hard work and perseverance. I believe in my abilities, never giving up a cause, or the fight, and making sure goodwill triumphs over fear and dread. How did you meet Roy Dimond and when and why did you decide to write Saving Our Pennys? What sparked the idea? I first met Roy during my teaching practicum at University. He only spoke to us for an hour but his words were the defining moment for me and many of my colleagues. His take on students of all ages and how he understood people on the deepest yet most simple elements of humanity resonated deeply. It took me three times to actually get to work with him full-time (in his Program for at-risk youth) throughout my career, but when I had the opportunity I was thrilled. I learned so much in the year and half I worked with him. Roy would move up to the Sunshine Coast with his wonderful wife Lorraine but before he left, we both felt a story was being “built” in that time. We both wondered, me as a new teacher and Roy as a retiring youth worker, why so many students simply disappeared out of the schools. No one really knows where these lost souls go or end up. Saving Our Pennys honours those children. I truly believe that Roy and I always knew this story would find its way. Why and who chose this title and how much truth is behind this story? The story moved from the original title of From Shadow to Substance to Saving Our Pennys. I have to credit Roy for the title, as he created it years ago, but was generous enough to share it here. I love it. The story has so many truths to it, and we acknowledge one particular student (although we protect her identity) who serves as the shining exemplar of those children who are forgotten in an underfunded system that too often puts paper ahead of people. Penny is real, but is it also can be argued that she is a composite of all our students. What is Saving Our Penny about? Did you play the”what if / maybe” game for a while, before you started? Saving Our Pennys is an inspirational work on vision, education and how to be happy at what you do. We use the setting of the schools, the classroom, nature and family to communicate with our audience. One, if not all of these settings, we believe, have touched each individual on this planet in some way that they can relate to. There were honestly no “what if – maybes” for us. We had a great attitude about writing a book together, and knew that the story would carry the day regardless if it was officially published. Deep down, I had no doubt this story would be heard. I would like you to tell us a bit more about Penny? What is special about this character? Penny signifies a child that Roy originally worked with. Without giving too much away, Penny was one of those kids who come into our classroom, and there would have been every reason to ignore her in a “cold school” setting. But her story is tragic, triumphant and enduring to all. Again, she signifies how precious life is and the evolution of the human condition. There are moments in our life when we just need a cheerleader, someone to keep us going. In your career did you have moments when your students rejected any kind of help? How did you manage that situation? Absolutely, there are moments when a student rejects help. Moments like these speak to the heart of self-worth and how to a person we must fight the turning of our back on each other. It is a daily battle for many to achieve this. Even those who give faithfully, have moments when they act out of self-interest. The parent, the teacher, the coach – must never forget that lending an ear and a kind word is imperative. Students who reject this help, and it happens daily, must know that you will be there when they are ready for you. The key lies with them and their choice. They must be made aware of that choice daily so that they may step forward and grab it. I believe that Roy and I see the essence of the message is that you have to take responsibility and you have to trust someone. Working with at-risk youth is all about being supportive, an encourager when needed. Tell us about an experience which impressed you the most. For me, the experience that impressed me the most was watching Roy working with one of our at-risk kids. This young lady allowed me to be part of the counselling process and I spoke not a word. I watched Roy verbally move her over the emotional edge about her life, as an orphan, as being alone, and how if she saw herself as a victim forever, then that is exactly what she would be. I watched her slowly respond to Roy in absolute tears, pick herself up slowly from the table she was sobbing on, and say that she didn’t want to be a victim anymore. Her smile broke into absolute joy when she realized that Roy had her look at her life on the precipice – Roy had shown that she had fallen off but she had managed to find her wings with his words. Roy took no credit for this, (he never does) as Roy simply told her to “Look who you are – who do you want to be?” For me, watching this was absolute magic. It is these types of experiences that spearheaded this book. Saving Our Pennys is your debut as a writer. What are your projects for the future, do you have any work in progress? And what a debut! To work with my educational mentor! – I promised myself I would do everything in my power to do to work with Roy. I am so proud to have my name on the cover of this book with him. It is the culmination of so many of the conversations between us. Projects for the future? Well, I definitely hope to write another book or books in the future. I have a couple of ideas that have been started. I have also written columns for local papers, as well as sports newsletters. I love the feeling of writing something meaningful. It is magic when you can create something that not only you, but others enjoy. Please tell us what friendship means for you Jeff? Friendship? To me friendship is knowing that you can call at a moment’s notice, and without hesitation, being there. Whether it be from my childhood, my teams or my colleagues, I love the idea of always being able to stand beside them and fight the good fight. Friendship to me really is the practiced act of commitment and courage. How do you like to spend your free time and relax? My free time is with “my families” and friends and whoever I am fortunate to run into in our local sporting community. I love sports and the life lessons I have learned through playing and cheering. I also love to read sports autobiographies, or any book with a great story. Relaxing? Ha ha… my wife would tell you I don’t understand the word. My mind is always racing. But I am truly blessed to have been surrounded by great people in my life who enjoy my energy and through that I find great peace. If that is a form of relaxation then that is good. My wife, Linda, has taught me so much. She has great perspective and is honest as the day is long. You need that to have perspective in your own life but it sure helps to be with someone who allows you to look at life differently. Like all great Moms, she really is the glue for our family. My kids make up most of my free time, Amanda, Matthew and Adam, who are so different but are a miracle to watch each day – I am so proud to call them my own. My parents, Bill & Sharon Leitch who made a home and lives for their boys from such humble wants, and my incredible brothers, Greg and James, who have given and continue to give me a lifetime of great memories. My brothers are two of the greatest foot-soldiers I know. Their loyalty and honestly knows no bounds. My In-Laws, Joe & Pauline, who embraced me as their own and who always, without fail, are there for me and “my families”. You cannot meet two finer people who consistently give more than they receive. And lastly, our little family dog named Sneakers. I really enjoy my daily walks with him and the unconditional love and care he gives us. What was the most critical moment in the life of your children, why, and what role did you play in it? The most critical moment in the life of my children was when our daughter Amanda, almost lost her life when she was given the wrong blood-type during her back surgery. Amanda was born with Spina Bifida and needed to have rods put in her back to help stabilize her spine and pelvis when she was a little girl. Somehow, during the day-long surgery Amanda was given the wrong blood and we almost lost her. Matthew was only a little guy at that time, but it had a significant impact on him, and Adam thankfully hadn’t arrived yet. Those moments and the following days were touch-and-go and defined my role as a Dad. Linda and I spent three days and nights in the ICU (Intensive Care Unit) and then another week in the recovery ward just watching the oxygen levels and counting the heartbeats. We saw (heard) three children die in the ICU – it was truly the most surreal life experience I’ve had as a father. My role was sadly the only thing I could be – a supportive bystander as Amanda recovered – but it is a badge of honour Linda and I both wear in that we never left her side, we talked with Matthew to see if he was okay, and then found the words for Adam when he was old enough to understand. And now another question from your book. Why are you a teacher and what gives you the right to teach? Great questions! They are also two questions that Saving Our Pennys addresses so I will be careful how I respond. I am a teacher, and like the majority of my colleagues, we believe in better tomorrow’s and like parent’, we need to pass the torch of hope to the next generation. My right to teach comes from my intentions… but I will leave you with only that thought so that the mystery of Saving Our Pennys is left to the reader. Thank you for being with us today and congratulations to you and to Roy Dimond for such a wonderful book. Thank you, it has been an honour and a privilege to be asked to you speak with you today. Roy and I hope you enjoy Saving Our Pennys. There is honestly something meaningful in this story to anyone who dares and dreams for a better day. Thank you again. The common link in a way is my experiences of Communism and my knowledge of the circumstances surrounding the political changes. In Herodotus – the Gnome of Sofia, I lampoon the remains of the Cold War Mentality and the way that diplomats perceived the alleged democratization of Eastern Europe and the ignorance with which they approached the subject of political change. So, the story of Herodotus is one of self indulgence and indifference, plus Herodotus himself of course, who is a garden gnome which MI6 has filled with highly technical spying apparatus, all ready for the 21st Century. Margaret Welwood has taught English as a Second Language for over 25 years. She has met many immigrant and new Canadian parents, and has seen how eager they are to help their children succeed. Margaret has written this report to help those with very young children prepare their little ones for success in school. She and her husband have raised five children, and now they’re watching two grandchildren grow up into fascinating little people. Margaret has enjoyed helping adults and children improve their language skills for many years. She is also a freelance writer and editor. Margaret edited a non-fiction book which won first prize from Writer’s Digest magazine, and has had over 100 magazine and newspaper articles published. But her favorite stories are about her grandchildren! Visit her Grandma’s Treasures blog and read about two-year-old Tommy, who stalked the primeval forest, striking terror into the hearts of saber-toothed tigers and T-Rex alike. His cousin Tina, Florence Nightingale of the 21st century, did pregnancy testing at the age of six. Come join the party! Then check out Margaret’s first-ever picture book for children at Grandma’s Bookshelf. What inspired you to write about early learning? I was teaching English as a Second Language at our local college, and I wanted to help publicize the program. Our immigrant parents were really keen to help their children succeed and I thought the book might give them some good ideas. Then when I wrote my first book for children, Scissortown, I wanted some low-cost, no-cost ways to promote it. I updated the early learning e-book and my son, Steven, laid it out. I put it up for free on Smashwords I’m very pleased with the number of downloads it’s getting, and of course it has links to my website and blogs. I’ve written a lot of magazine articles on business, education, art, health, religion . . . I helped to edit Obtaining Salvationby Walter W. McNaughton, and I edited To Teach, To Learn, To Live: The Complete Diabetes Education Guide for Health Care Professionals by Diane O’Grady, RN, RSN, CDE, Second Edition (2006). The diabetes book won first place in the reference category of the Writer’s Digest Self-Published Book Awards (2010). For children’s fiction, I never decide it’s time to write a book. The idea comes, and I “watch” the characters in my mind and write down what they do. I also direct them. Tommy and Tina in Scissortown are my grandchildren, acting as I think they would act in a fantasyland setting. The other children’s stories all have an element of truth in them, whether it’s the character they’re based on or something that happens. For magazine articles, I’d look for something exciting for the “hook,” then organize the info and add transitions. I’m working on my online profile to prepare for marketing Scissortown. I have three other stories written which I hope to self-publish in the future. I spent a while trying to get an agent or publisher and had no success. I almost signed up with a self-publisher till my husband reminded me that even with the “two for one” the salesperson was offering, I’d still have to buy the books! So now I’m publishing in the truest sense: contracting out the artwork, layout and printing. I loved science fiction. My mother used to park me in the book section of The Bay and I’d read until she was done her shopping. Ones our children enjoyed when they were young, like the Narnia books, Uncle Arthur’s Bedtime Stories by Arthur Maxwell, and some much simpler ones like Goodnight Moon and The Runaway Bunny by Margaret Wise Brown, Where is the Keeper? by Mabel Watts and Groundhog’s Day at the Doctor by Judy Delton. Also, some of the books that have gone over well at the day care or with Tommy and Tina, like Little Croc’s Purse by Lizzie Finlay, Barnaby the Bedbug Detective by Catherine Stier, Rosie and Tortoise by Margaret Wise and Do You Want to Be My Friend? by Eric Carle. Read the kind of literature you would like to write. I read so many magazine articles when I started writing for magazines, and I’ve read a lot of children’s stories over the years. Read about your craft. When I first started writing magazine articles, How to Sell Every Magazine Article You Write by Lisa Collier Cool was a great help. Since I’ve gotten into writing for children,Writing Picture Books by Ann Whitford Paul and You Can Write Children’s Books by Tracey Dils have helped to guide me through the maze. Take advice from others, whether they think of themselves as writers or not. Both Coralie and Steven have helped me with the storyline for Scissortown. One of Steven’s ideas helped to foreshadow the hero’s identity and develop the wordless commentary provided by the kitten. And Coralie has come up with a beautiful idea for foreshadowing the ultimate solution through the artwork. Network. It was so helpful to have input on our cover design, both from professionals like editors and other writers, and from grandmas, moms and others who might buy Scissortown. And it’s also the way I’m developing my list of potential customers. Today, my guest is Edward G. Kardos, the author of two books. His first is Zen Master Next Door (second edition was released in 2012) and his second book is a novel for young and young at heart readers, Elias and The Legend of Sirok. It was published just this year. He has a third book coming out in early 2014. Welcome Ed and tell us what to you want to start with–telling us about the story or about yourself? Thanks Madi and thanks for inviting me to talk about some things I love—that is, after my family. 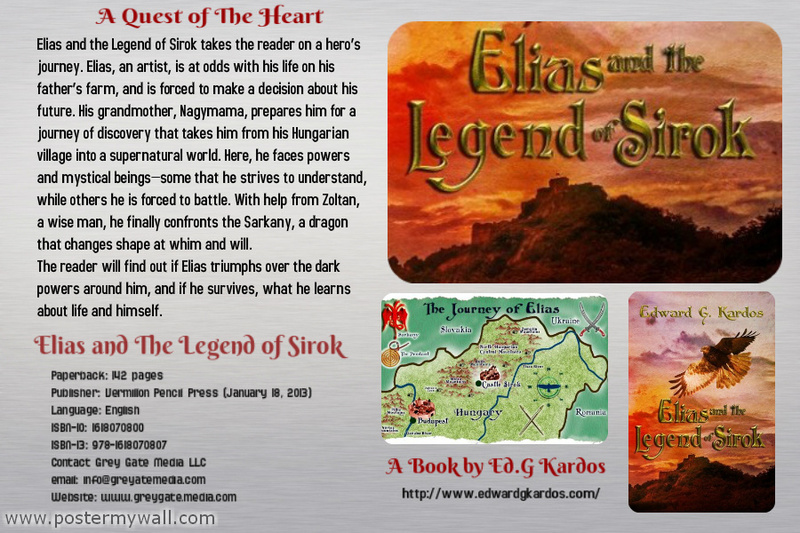 Elias and the Legend of Sirok is a special story for me. It is a tale of a young man who is struggling with who he is and who he is becoming. Something I think all of us grapple with in our lives. That’s why I think of the story as one for young and young at heart readers. I think all of us need guidance and help in our lives, but when it comes down to it, we have to make our own decisions and if we are true to ourselves, we can never be wrong. What do you mean—be true to ourselves? As we grow up, we sometimes lose our way due to the strong influences around us. We are conditioned by others to move in directions that are socially or economically acceptable—don’t rock the boat. Also, others influence us and sometimes guilt and fear take over. Elias fights these demons, so to speak, and learns to follow his heart—his true essence. Why did you set the story in Hungary?What makes the story work? Hungary is a very interesting place. So many cultures converged in that country over 1000 years ago to form a very wonderful and unique culture. Not many people in my country—the US—know much about Hungary. I am half-Hungarian, I am among those who know very little, and I wanted to change that. Once I learned of the people, the history, the mythology and the beauty of the country, I thought I just had to set my story here. Elias, I imagined, was my great grandfather as my family were rural people who lived outside of Budapest. Many readers tell me that they feel they are right there with Elias as he journeys in this mystical and magical world. They hear what he hears and sees what he sees and when he battles the three-headed dragon, they are right there with him. I think we all love adventures–as a kid, I always wanted to be in a sword fight. I still do! I wanted to ride the mystical horse and use powers to thwart the enemy. The adventure is exciting and real and blends well with the theme. What is the significance in Sirok? What makes Elias a special character? Elias is 15, soon to be 16, and is an artist. He is at odds with his life on the farm and his papa forces him to make a decision about his future. His grandmother, Nagymama, prepares him for a journey that will help him make such a decision. This journey takes Elias through a magical land somewhere between Sirok and Budapest. Here he faces mystical being and forces that he tries to understand. Sometimes he is forced to battle them. With help from a sage, Zoltan, he confronts the Sarkany, a three-headed dragon that changes shape confusing Elias. Elias is special because he is like us. He has an idea of who he is but with the forces around him, he has to make decisions the best he can and stay true to himself. I would say anyone who stays true, or at least tries, to themselves is special. That’s why I called your campaign A Quest of The Heart, because in legends the hero is going on a journey to find a treasure, an object .In your case Elias is setting out on a Quest to find and learn more about himself and about how to be himself and what to do in his future life. Madi, I think you hit it on the head. What better treasure may we find than our own heart? Who are Elias’ demons? What are his fears and confusion? I don’t want to give too much away, but I’ll say that the Sarkany, the three-headed dragon that changes shape at whim and will plays a huge part. All three evils, so to speak, are a part of this beast and he deals with each struggle one at a time. An intimidating question now. At Elias’s age, did you have your own demons? What were they and how did you fight with them? Wow! I didn’t expect that one. That’s a tough one. The short answer is “yes”. I remember so many forces out there telling me that I better be this way or that. I didn’t know why it was so important to so many people to want to control who I am. I was a shy kid and loved art. I remember being bullied because of this. As I got older, I figured I should conform where I could and blend in. That’s why this story is so important. We all struggle with being true to ourselves. As a father, I try to encourage my children to be true to themselves. As an adult, what I know is true comes through my writing and other means to stay creative. Tell us something about the people he met during his journey and what he learned from their motivational stories. Elias befriends a dog he names Cimbora. Cimbora helps Elias out of a jam here and there. Elias also relies on a mythological bird called a Turul. The Turul is his guide. He meets a man named Lantos who has been shamed for how he looks but plays the lute with splendor. Gaspar is the goldsmith who teaches him a lesson that helps him battle the Sarkany. Zoltan is Elias’ mentor as he helps him put all of his experiences together. There are others but these are a few. From whom did you learn the most important life lesson when you were Elias’s age? I’ll take a bit of a different twist to your question. When I was 9 years old, and in school, I had a negative experience that I, throughout my life, have used to help me in difficult times. The teacher would ask each of us to read a paragraph of a story and when it was my turn, I struggled. She told me to stop reading and walked up to me and proceeded to tell me that I was nothing like two of my older siblings whom she taught and that I was not going to amount to much. I told myself that I would never allow anyone to pass judgment on me and discourage me again if I could help it. Summarize somehow in a few words the main advice, which you can give to your young readers? What they can learn from Elias’s quest? I didn’t make this up but I believe it—never, ever lose your imagination. It makes us human. It allows us to enjoy beauty in people and all in the world. Our imagination is powerful because if you can think it, you can figure a way to do it. What are your ambitions for your writing career? Do you have any work in progress? Any projects? Thanks for asking. I write because I feel I must. As I write, I learn so much about people and our world. Most of what I write, of course, will never be published. I don’t think of myself as a writer but as a re-writer. I get the ideas down on paper and keep working at it over and over again. I always want to be able to be creative whether anyone reads my next story or not. My next book is scheduled for publication next year. It is very different from Elias and the Legend of Sirok and Zen Master Next Door—Parables for Enlightened Everyday Living. It is a story of friendship—a coming of age story that I call One Leap of Faith. What are you doing when you are not a writer? I love my family and want to spend as much time as possible with them. My wife, Kristin, and I have been married for 26 years. We have a son who is studying to be an English teacher. I have three beautiful girls who are all forging their own paths. Where can we buy or see your books? Any online bookseller will have it—Amazon or any of them. Also at any bookstore. They can order it for you. Do you read much and who are your favorite authors. I try to read as much as I can. Currently, I am reading Life of Pi. Some authors I enjoy reading are Mitch Albom, C.S. Lewis and Paulo Coelho just to mention a few. Is there anything else you would like to add that I have not included? First of all, I want to thank you for giving me an opportunity to talk about something I truly love. I want to encourage children of all age and old folks too, to read. Read whatever they like to read. I want to encourage everyone to write even if it is just for you. That’s how I started. I wrote for me and wrote what interested me the most. Our creative expression makes us human. Thank you very much for taking the time to take part in this interview. The most beautiful thing in life is when you begin to unfold into the person you are meant to be. It is never too late to go on for A Quest to The Heart. Talking about his books, which are a real Treasure for The Spirit. Today I’m very lucky to be interviewing Roy Dimond, the author of The Rubicon Effect,book released yesterday. Hi Roy, thank you for agreeing to this interview. Tell us a little about yourself and your background? Hello and thank you for this interview. Before I was a writer I was working with at-risk families as a Youth Worker. It was there that I found so many enriching and fascinating people and I often draw from that experience to find characters and plots for my novels. I then began traveling, and have had the good fortune to find many interesting places. Again these experiences have often found a way into my writing. Aldous Huxley, John Steinbeck, Yukio Mishima, Conan Doyle, no one can touch Dorothy Parker for wit, Agatha Christie, James Joyce might be the most courageous writer I have read, and I always enjoy a good Nelson DeMille. One writer that blew me away with her courage, talent, and openness, in fact, I can honestly say that she is the most honest writer I have ever come across is Elizabeth Smart. And it is sheer coincidence that she spent part of her life here in Garden Bay. My third novel, which I wrote with my good friend Jeff Leitch, is called Saving Our Pennys. It should be coming out this winter. It’s a very different story, about a teacher who is lost and looking for a mentor — not to just help with his profession, but with his life, which he feels is slipping away. Little does he know that mentors can come from the most unexpected places. I guess you can tell I am a writer who does not like to fall into one niche or style. I enjoy writing different genres with unique voices, and exotic settings. We are talking now about The Rubicon Effect. Give us an insight into your main character. What does he/she do that is so special? What is it about? Sam Albright, my main character, doesn’t suffer fools and seldom has doubts. He’s an environmentalist who knows what’s coming, Armageddon, and worse, he knows that it is already too late to affect Global Climate Change. However, at a deeper level, I think the main character is really the psyche of mankind. Behind the scenes, it is really all humanity that drives my characters. From the newly elected Pope, to the second term lame duck President, from the new President of Venezuela, to the Republican right-wing they really only represent the needs, desires, and dreams of humanity. None of my characters got to where they are on their own; humanity raised them to the positions they have. That’s why I say my story is really about what drives mankind… hope or fear. You live in a fishing village, Garden Bay, British Columbia. Tell me do you find time to go fishing? Or go to the ocean for a swim with your wife. How do you like to relax? I’m not a fisherman, but I do have very generous neighbors who take my wife and I boating. They call and just say, “Sunset cruise, tonight,” and we drop everything. Some day I hope to have the talent to describe what a sunset looks like while we float outside the harbor. It’s purple, but more colorful than that. It’s vast, but bigger than that, It’s grand, but more than that. You can probably sense my frustration; I just don’t have the words to describe what my eyes take in on those cruises. What I would give to have Hemingway with us while he described what we were all appreciating. Funny you ask about swimming, I don’t swim, but my wife does and about thirty meters from our house is one of the warmest lakes any swimmer has ever enjoyed. A few years back we helped our friends build a secret dock, far from the tourists and known only by the locals. There’s a trail that winds through the forest down to it and while everyone else swims, I enjoy a libation and watch loons carrying their little ones on their backs and then dive when a call warns of an eagle swooping past. The best way for me to relax, other than a “sunset cruise’, is simply to sit on my deck. We usually have four or five deer sleeping around our house. A couple of four point bucks, fawns, everyone, comes into our yard. Sometimes, I have to go out the back door and down a trail because so many deer are sleeping near the front door. I have had to carry a dead deer from my property and been honored to witness the birth of twin fawns. I watched for three hours and forgot to take even one picture, which oddly, I was praised for. Also, nothing like looking out the kitchen window and seeing a 400-pound bear saunter by. Please tell me, from your experience as a Youth Worker, how do you see the young generation, what did you learn from them and what are your advices for the young people and their families, when they find themselves in a difficult situation, when there is not a solution or they think there isn’t. A great question and I have to thank you for asking that. I seldom get asked about my past profession. First, the young generation has it much, much harder than I did. It’s too easy for the older generation to say, “When I was your age…” but today’s kids have pressures that we never had. The advertising industry focuses on them so they have to be, “cool.” They have media pounding on them 24 /7 with what, “cool” is. They’re forced to grow up much faster than we were. A real concern of mine is cyber bullying. It’s anonymous and gutless and so easy to do, and it isn’t one on one, it comes from the protection of the e-world and can easily be 10 or even 20 on 1. For young people… my advice would be to be kind, do a random act of kindness every day; it will make you feel good. It’s easy to be mean, but it takes courage to step forward and show you care. For parents… I say, be the adult. Don’t be your child’s best friend. They already have a best friend and it isn’t you. What they don’t have is another mom or dad. They need our maturity, our experience. We must be their parent, even when they get upset with us. When a young person doesn’t see a solution, or at least thinks there isn’t one, he needs his parents, not a friend to commiserate with, but an adult to listen to him. Finally, what I learned from them is very simple. People act the way we treat them. Treat a struggling kid poorly and he will get worse. Treat him with compassion, kindness, and patience and they will grow into the people we know they can. Simple. Now please tell us something about the other book of yours, The Signing Bowl, say something about the feelings, which you had when you had the occasion to listen a Singing Bowl. Again, what a great question and thank you for asking it. I have never been asked about the actual singing bowl that I wrote about. A little insight here, the cover picture for the Singing Bowl is of my own bowl and was taken on Pender Hill just behind my house. I have never told anyone that before. I actually came up with the idea about The Singing Bowl while walking around the three lakes near my log home. I was fascinated with the idea of someone looking for something that would be impossible to find. But the journey would take him around the world and he would learn about himself. There’s a neat little trick in my novel about where the book was the entire time, but I won’t share it here, I think even some readers might miss it. I meditate every day, have since I was eight years old and being considerably older than that now, means that I have spent many hours quietly contemplating. I always have the bowl near. For anyone who has ever heard a singing bowl, they can imagine the experience. For those of you who haven’t, try it you won’t be disappointed. To ask me what it “feels” like to listen to it is like asking me to describe a sunset. I openly admit that I lack the talent to do it justice. How can one describe a sound that in your mind looks like color, or a vibration that runs through your body that makes your mind ripple out to the greater universe? If you can describe silence you are only part of the way to describing what a singing bowl can make you feel. Give us a clue Roy, are the two stories linked somehow, I mean both of them are about the way of living. What are the similarities between them? Ha, I almost don’t want to answer that. I take some professional pride in that I write to different readers. A book on Buddhism may appeal to one reader while the same reader might not be interested in global climate change, or finding a mentor to help you with life. But when I first decided to write, I made a commitment to write as honestly and as courageously as I could. So no backing down here… I think all life, certainly all my books, no matter what the setting, what the experience, always comes down to two questions. Who are you? And what do you believe in? I think all stories, all counseling; all life experiences, come down to answering those two questions. So all my books, one way or another, are interconnected — like life itself. What are your projects? Any work in progress at the moment? If I am breathing, I am working on a new project. I have 2 children’s books under contract with one of my publishers, Grey Gate Media. Once Saving Our Penny launches, we will be working with a children’s illustrator. My agent Malaga Baldi is representing two books, Silence and Circumstance: The Story Agatha Christie Never Told and Rendezvous at Calchemish. I also have another agent who is considering my manuscript called, The Philosopher’s Path. And as all writers, I am currently working on two other unnamed manuscripts. Below are some of the sites where I can be located. The best way to discover more about me, and any writer really is to read our works. For everything that I am, is in my writings. Smashwords: I think Grey Gate Media is on there. I appreciate your support for writers and for readers as well. Thank you. My first interview , with my special guest Roy Dimond, the author of many books as you see. fast becoming a top social networking tool.